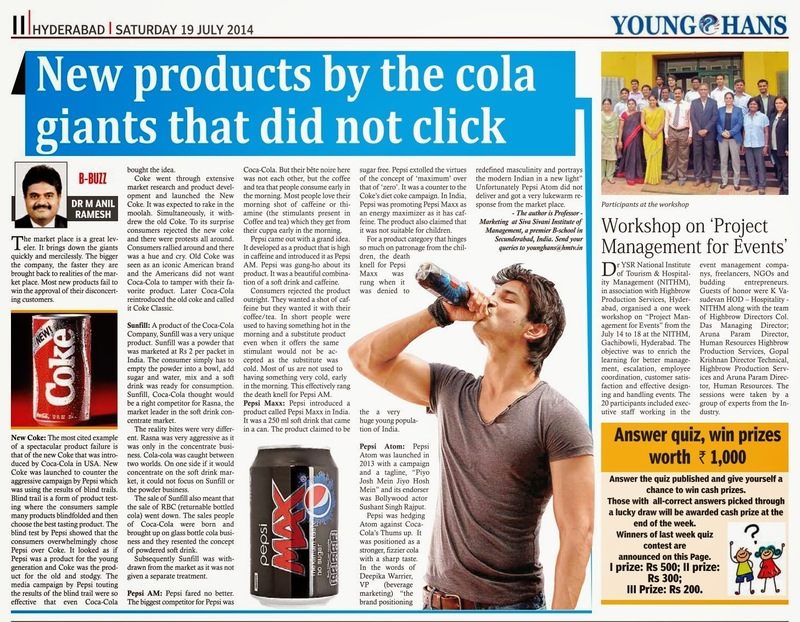 Dr.Anil - Marketing Musings: 10th article published in HANS INDIA - "New Products from the Cola giants that failed to make a cut"
10th article published in HANS INDIA - "New Products from the Cola giants that failed to make a cut"
10th article published in HANS INDIA today (19th July 2014). It is an article about "New Products from the Cola giants that failed to make a cut". Incidentally the photograph next to my article features Prof P. Narayana Reddy (wearing tie). Prof P.Narayana Reddy was my first HOD in academics and he is my PhD guide, guru and mentor. It is a honour sharing media space with him. I am delighted.